Home » A Must For Plus Size Brides! Before I started looking for a wedding dress, I really didn’t think it would be that hard, especially living in a huge city like Toronto. Given that I’m a plus sized 18 bride who is fiercely determined not to settle for any dress, and I embrace my body, I didn’t imagine that it would be that difficult. Fast-forward 5 bridal dress stores in Toronto and a few typical plus size bride experiences later (when the store advertises as plus size and only has 3 gowns for you to try on, and asks you to squeeze into dresses too small), I finally decided to make the trip out to Ancaster to Sheila’s Bridal Boutique. I really wish in hindsight that I had visited Sheila’s store first, instead of wasting my time at a whole bunch of other stores. Not only is Sheila patient, warm and professional, but she aims to find you a dress that makes you feel beautiful, and doesn’t pressure you in any way to make a decision on the spot. She had so many dresses and styles to try on (all in sizes that I could fit into!) and the prices were so reasonable. This was by FAR, the best experience I had shopping for a wedding dress. Not only was my appointment personalized and focused, but Sheila found me the perfect wedding gown when I didn’t think I would ever find it (the very last gown she pulled for me to try on!). 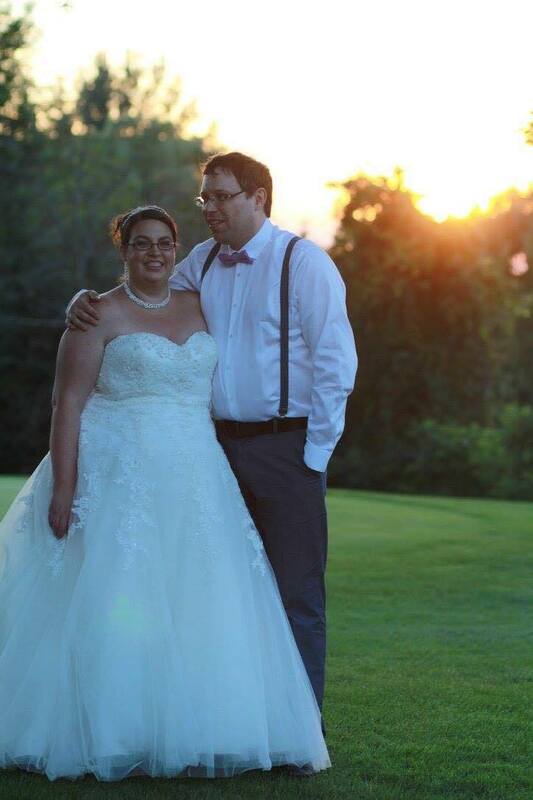 Needless to say if you are a plus sized bride in Toronto, the GTA or anywhere in Ontario, you must make the trip to Sheila’s Bridal Boutique in Ancaster… the drive is worth it, you’ll be glad you did, and chances are you are going to find that perfect dress! Thank you Sheila!! Previous post #1 Plus-Size Dress Boutique! !